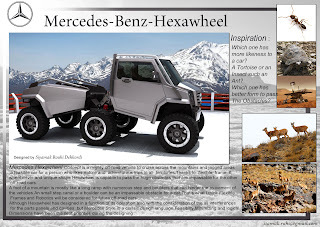 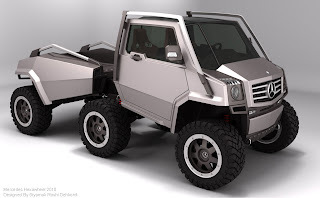 The Hexawheel concept is a design study of an extreme off-road vehicle which combines a six-wheels layout and a flexible frame with a Mercedes-Benz-inspired design language. 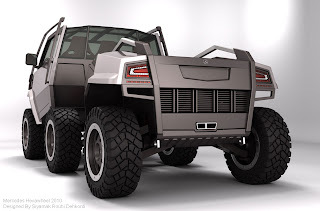 It was designed by Iranian engineer Siyamak Rouhi Dehkordi. 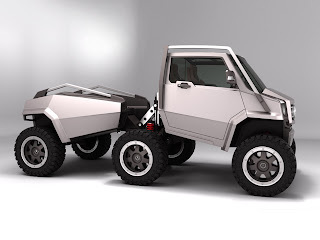 Created by Iranian mechanical engineer Siyamak Rouhi Dehkordi, the Hexawheel Concept is an extreme three-seater off-roader targeted to adventurous customers and people who need to move in extremely diffficult conditions and terrains. 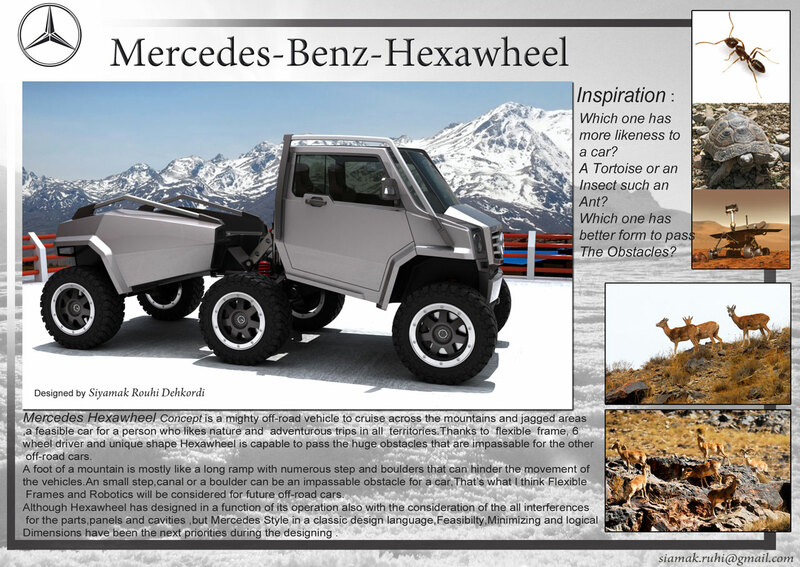 Inspired by the jointed structure of insects, the Hexawheel is capable of overcoming large obstacles thanks to its flexible frame, which is combined with a six-wheels layout and an all-wheel-drive system. 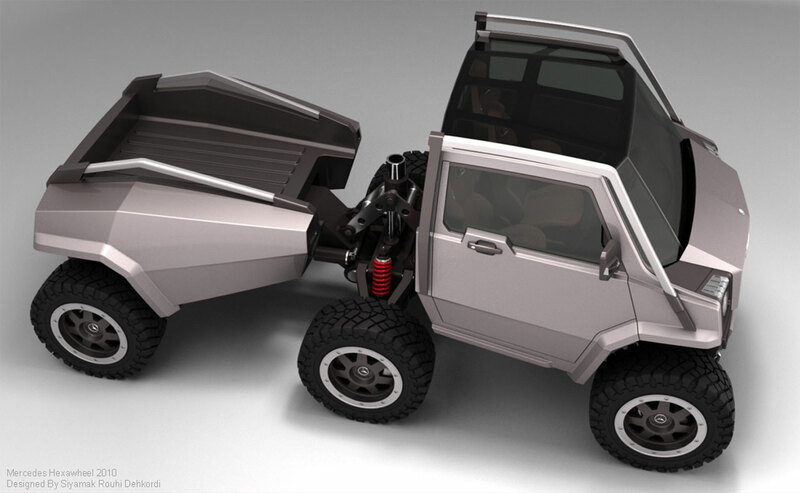 The frame has two degrees of freedom and is operated with a hydraulic system; the diesel engine is coupled with a flexible hydraulic power transmission system. 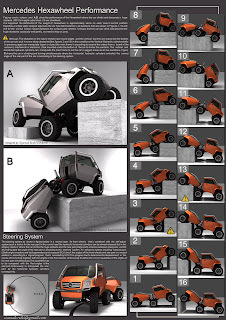 Th main dimensions are a total length of 4.8 meters, two equal wheelbases of 0.95 meters and a ground clearance of 46 cm, while the weight is equally distributed among the three axles. 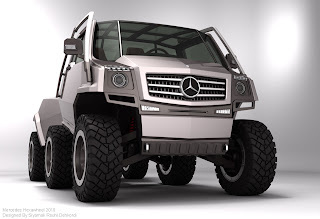 The exterior design uses angular shapes and an industrial look, interpreted for the Mercedes-Benz brand.